The Hanford Mills Ice Harvest festival celebrates the stories history behind cutting chunks of ice out of the frozen mill pond. 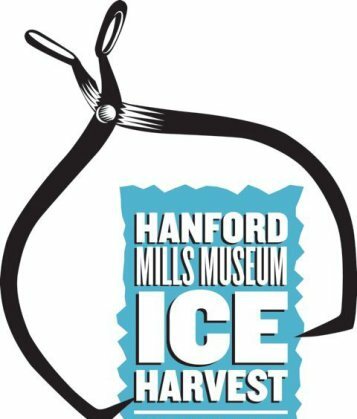 Hanford Mills Invites You to Help in the Ice Harvest!In "Delaware County"
This entry was posted in Delaware County, Festivals, Winter and tagged Hanford Mills, Ice Harvest. Bookmark the permalink.